Become an Arc Angel now! This is the pledge over time site. Click here to make a one-time gift to The Arc Marin.  If you wish to pledge an amount not shown above, please contact msullivan@thearcsf.org.